Mangaldai College shone in the Gauhati University Inter College Zonal Youth Festival that concluded at the Gopi Nath Deva Goswami Commerce College in Nagaon on Friday. According to information from sources at Mangaldai College, the college has bagged the best team title in the debate contest on the topic ‘Women empowerment can stop violence against women’. Apurba Deka, one of the members of the college team, while participating in the debate competition spoke for the motion while the other member Pranjal Deka spoke against the motion. BKB College and Darrang College emerged as the first and second runners-up respectively. 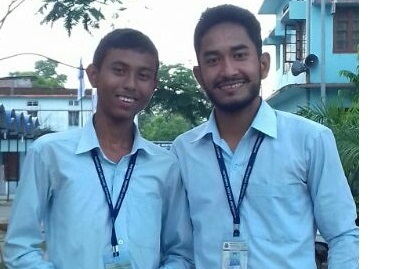 The result of the debate contest has brought delight to the students of the one of the premier higher educational institutions in the north bank of Assam. It may be mentioned that the Gauhati University Inter-College Zonal Youth Festival, 2017-18 organised at Gopi Nath Deva Goswami Commerce College, was held from June 27 to June 29, 2018. The zonal youth festival held at Nagaon covered all the colleges affiliated to Gauhati College in Sonitpur district, Nagaon district, Darrang district and Udalguri district. As per an order issued by the director, Students’ Welfare & secretary, Gauhati University Sports Board, newly-admitted TDC 1st year students were not allowed to participate in the festival. However, the 6th Semester students of TDC classes and 4th Semester students of PG classes were allowed to participate in the zonal youth festival 2017-18.